InkedFingers | Fine Art, Commercial and Lifestyle Photography: Bristi + John = Married! Bristi + John = Married! Groom and groomsmen waiting around for the beautiful bride! She's married! And yes, Bristi. 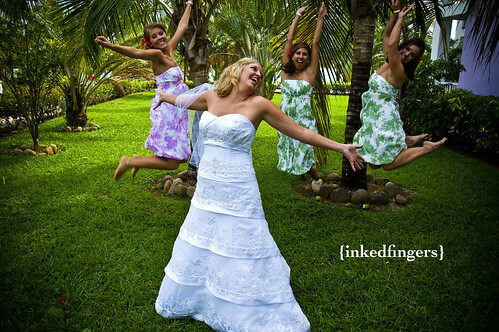 You DO have an incredibly beautiful bridal party... just like you've wanted all along. lol! !